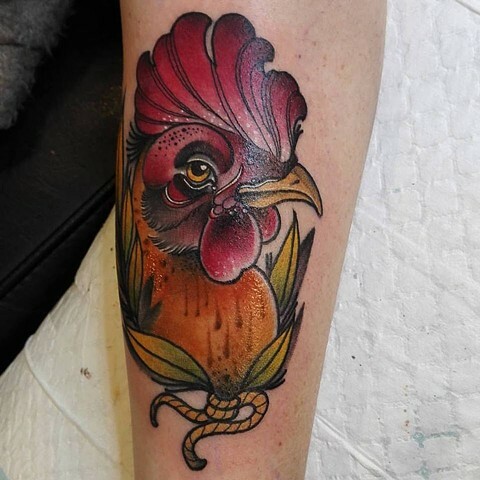 We have return guest artist Rosie Roo in the studio next month! Georgie Williams will be back in Australia for three weeks during February & March 2019. For more information or to make an enquiry don't hesitate to call us at the studio during opening hours, Tuesday to Saturday, 11am to 6pm. 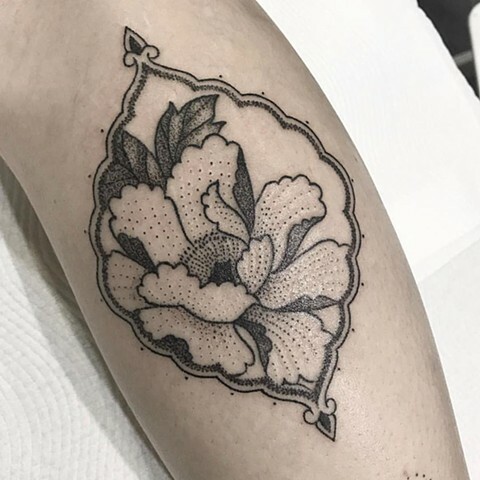 Professional Handpoke tattoo artist Amy Unalome is now at La Flor Sagrada Tattoo Full time from 8th January 2019! 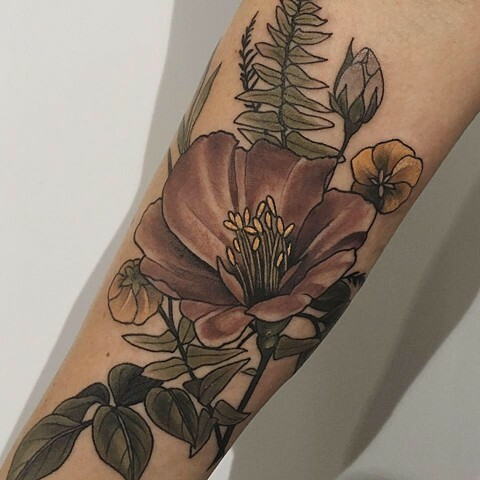 To view more of Amy's beautiful check out her Instagram! A huge thank you to our clients, staff, family & friends for their ongoing support throughout 2018. We've had the most amazing year and feel so lucky to work with an awesome crew. Happy Holidays from the LFST Crew & best wishes for the New Year !! Tuesdays to Thursdays & Saturday each week (11am to 6pm). Or to book a consultation you're welcome to call the studio during opening times. 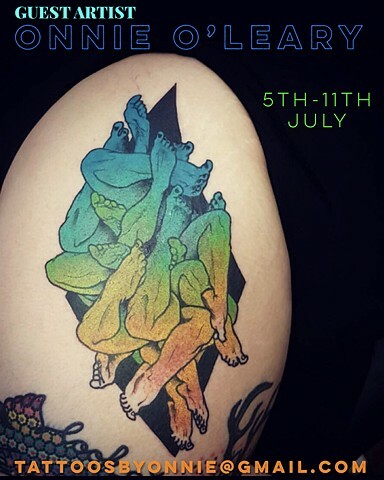 Extremely talented & amazing tattooer Onnie O'Leary will be with us next month! Guesting in the studio: Thursday 5th to Wednesday 11th July. 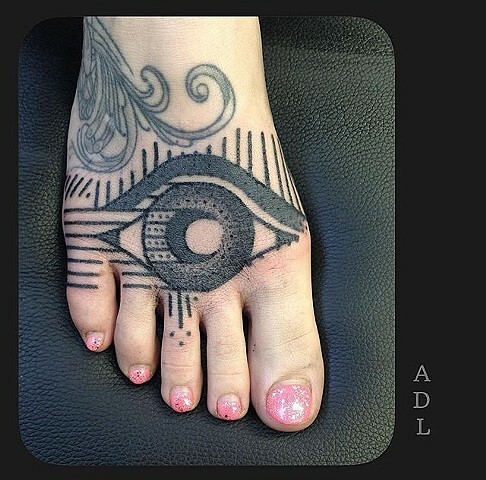 Onnie is booked in advance for this visit, but for any tattoo enquiries/travel or convention information. Don't hesitate to contact Onnie directly by email. La Flor Sagrada Tattoo is turning one! 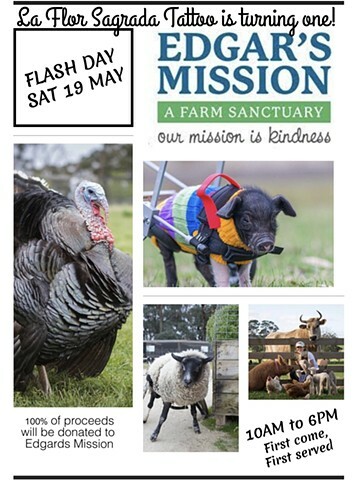 Come to celebrate with us at Flash Day ~ Saturday 19th May!! (you must be 18yrs or over). Prices will be clearly marked on each Flash design. Please keep in mind that designs are priced based on sizing. Each artist will have a selection of Flash designs to choose from. We will be showing flash designs in the days leading up to 19th May so keep your eyes peeled!! Designs can be viewed via each Artists Instagram, La Flor Sagrada Instagram, Twitter & La Flor Sagrada Facebook page. Any questions don't hesitate to call the studio during opening hours. PH: 03) 9386 6869. See you at Flash Day! Welcome to the crew Samantha Sirianni !! For booking enquiries contact the studio directly. RESIDENT ARTIST: HORIMATSU BUNSHIN !! To book a consultation or for more info please call the studio during opening hrs: Tuesday to Saturday, 11am to 6pm. 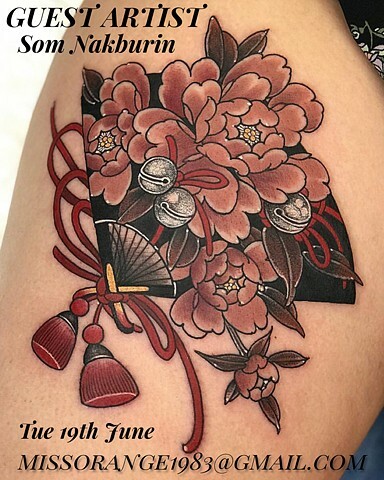 So happy to announce the very talented Som Nakburin @missorangetattoo will be working in the studio this month! Som will be in Melbourne for a short time so bookings are limited. Be sure to contact her asap to secure an appointment during her guest spot. MELBOURNE!! 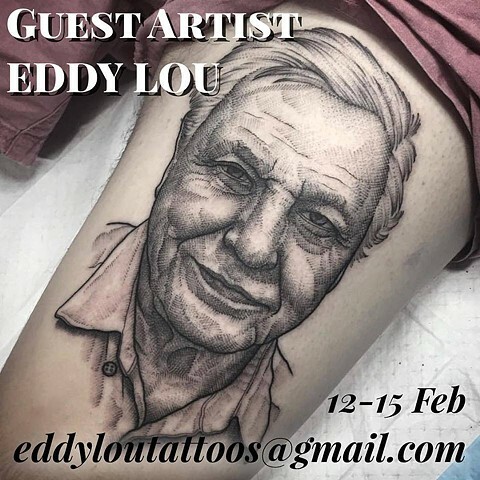 The lovely Eddy Lou will be Guesting with us this February! 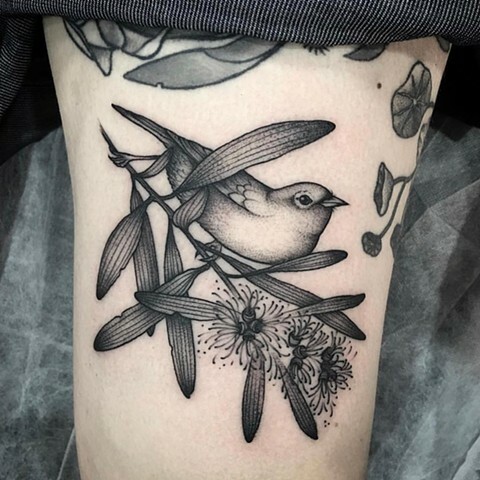 Available for apts ~ 13th, 14th & 15th Feb.
For bookings & enquiries please email ~ eddyloutattoos@gmail.com (design idea, placement and approx. size. 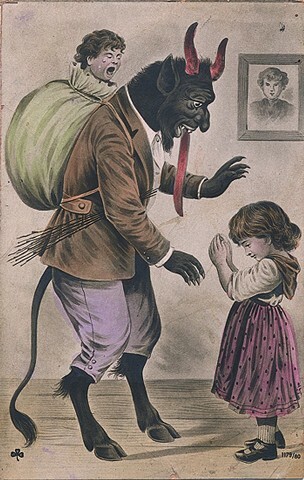 inc. any images/reference pictures). Georgie Williams will be back in Australia and working with the La Flor Sagrada crew! Appointments will fill quickly so don't miss out on her visit to Melbourne! 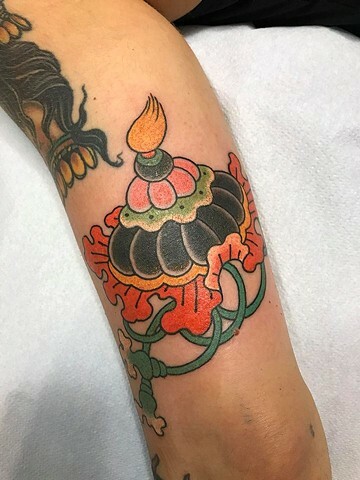 HANDPOKE TATTOO ARTIST MARK MASON!! Contact the studio directly for more info! 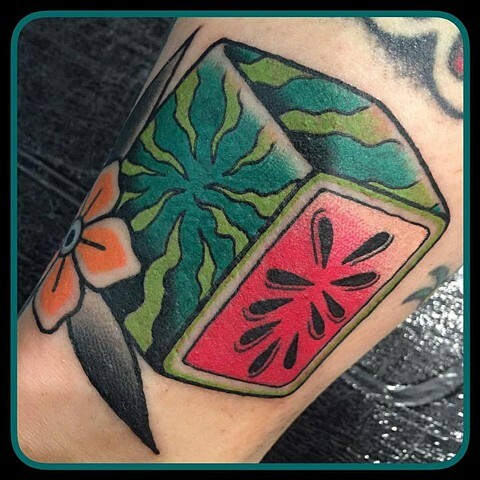 Our good friend Sophia Baughan (Tattoo Rosie's, Sydney) will be Guesting in the studio Thursday 12th, Friday 13th & Saturday 14th October. Sophia is booked for her visit to Melbourne. If you'd like to enquire for Sydney appointments her books open December 2017. 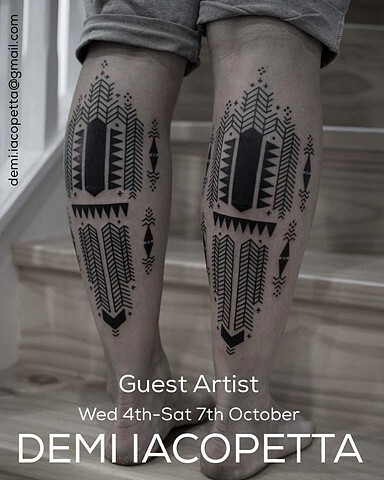 Demi Iacopetta (Tattoo Rosies, Sydney) will be guesting at La Flor Sagrada Tattoo ~ Wednesday 4th to Saturday 7th October. Include your name & ph no. Design description, approx. 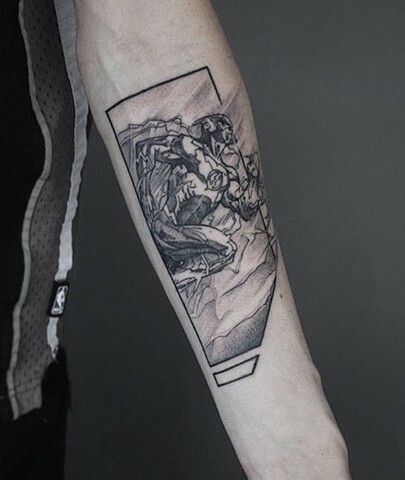 size, placement and any references for the design idea. Victoria Woon (Singapore) will be in Australia and Guesting in the studio! Appointment dates available from 10-14th & 17th-21st October. This will be the first time Victoria will Guest in Australia. Don't miss out on the opportunity to get tattooed by this lovely lady. 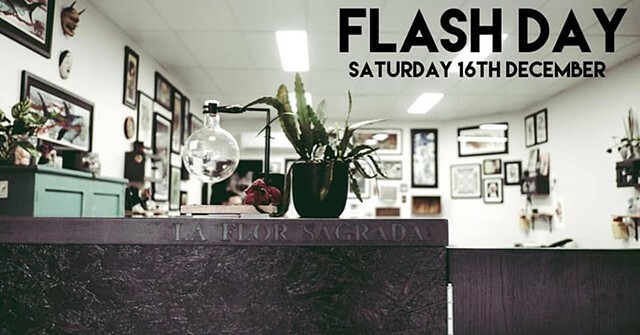 Lighthouse Tattoo are having a flash weekend in November! Sat 4th & Sun 5th November 2017. 22 ARTISTS will be there working over 2 days. 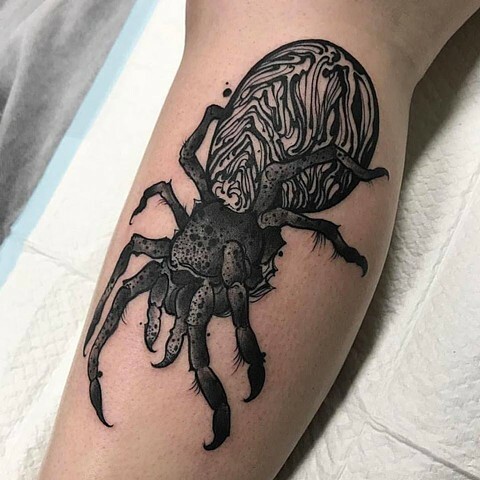 Some of the most talented tattoo artists from Australia & New Zealand. Its sure to be an awesome weekend. A big thanks to the crew at Lighthouse for organising this event. FLASH DAY @ LA FLOR SAGRADA TATTOO!!!! Please bring Valid Photo ID to complete the studio disclaimer (you must be 18yrs or over). Pricing for Flash designs will range from $100- $400. Some alterations/re-sizing for designs is available. Prices will be marked on each Flash design. Resizing designs may result in a change of pricing. Each artist will have a selection of original Flash designs to choose from. 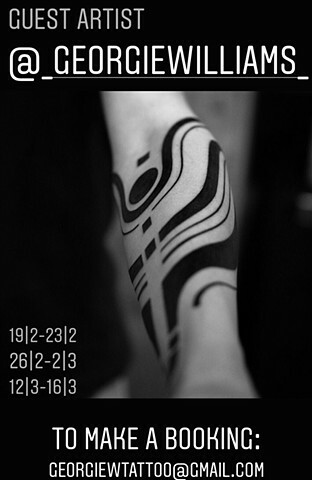 We will be showing flash designs in the days leading up to 16th December so keep your eyes peeled!!. Designs can be viewed before the day via each Artists Instagram, La Flor Sagrada Instagram, Twitter & La Flor Sagrada FB page. See you for Flash Day!!! Friday 22nd, Saturday 23rd & Sunday 24th September 2017. 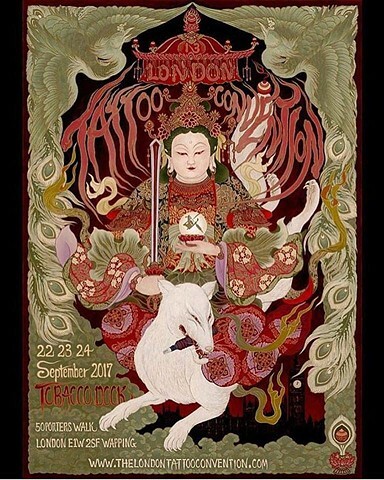 Teniele and Alvaro will have limited edition prints for sale this year so don't miss out on the beautiful wares they have on offer. Hope to see you there! !